Not only is exercise a crucial aspect of weight loss, but it’s incredibly important to your overall health, too. Working in just 30 minutes of exercise a day (for at least 4 days a week) can make a massive difference to staying fit and maintaining your weight. It can difficult to keep yourself motivated, though, and if you haven’t been exercising it can be even more difficult to get started. Even the thought of half an hour is difficult to stomach, but don’t think about it like that. Your starting point should be aiming for get 10 minutes of exercise done, and the American Heart Association has plenty of suggestions to get you started. You are more likely to follow a new exercise routine if you are doing an exercise you like. Whether it’s swimming, dancing, or cycling. You might want to make a change and lift weights, or run laps- but when you’re just starting out it’s easy to let this fall away as you decide quickly they’re not working. You’re more likely to stick with it if it’s something that you really enjoy doing. If you’re not particularly sporty then pick an activity that requires limited skills and minimum equipment- walking is perfect. Motivating yourself to get going is a challenge- but if you agree to exercise with friends there’s a bigger motivation. You’ll want to stick with it to save face, and to avoid letting your friends down. The social aspect of group exercise makes it more enjoyable- so whether you gather your neighbors for a walk after dinner, or you get your besties to join a dance class or start a 5 a side soccer team- doing it in a group adds fun. Sometimes at work you barely have time to eat lunch, but if you work smartly you know you can find the time to fit in a 10-minute walk. Whether it’s part of your lunch break or on your coffee break- just 10 minutes of walking can make a difference- to your energy levels and your mood. If you work from home then you should be able to make time to get walking, even if you walk around the house while making calls. Depending on your weather, you may want to consider walking or cycling to work. If you take the bus, Get of the bus early and get that walk in. Instead of taking the elevator everywhere, take the stairs. You’re finally home after a rough day at the office- sinking into the couch and catching up with TV is tempting. Resist that delicious temptation and tell yourself that’s your treat, for after your workout. Vacuuming, mowing the lawn, doing housework and gardening burns calories so that can count as some exercise. Consider having exercise equipment in the home- a stationary bike is relatively inexpensive and you can work out while watching TV. Small weights, a hula hoop and a jump ropes are all easy equipment to use and small to store. The list of the positive effects of exercise is long and includes lowering your risk for many serious diseases as well as improving your mental health. However, does this list include helping you to lose weight? Well, to grossly oversimplify, the answer is: it depends. But either way, it’s a good idea. Losing weight should be considered as the result of getting rid of the fat on your body. A key part of this is to eat healthy but beyond that, you need to burn the calories that you have accumulated by not exercising and not eating healthy plus the calories that you add every day. To put it simply, you need to burn more calories than you consume in a day. If you consume 2000 calories per day, but you only burn about 1600 calories per day, your body stores the remaining 400 calories as fat. If your daily grind has resembled this for years and years, you’re probably overweight. Though, because it’s unlikely that you kept track of your calorie intake over the years, it may be more accurate to say that if you are overweight, then your daily grind likely resembled this situation. Conversely, if you consume 1800 calories per day, but you burn 2000 calories per day by exercising and generally being active (walking around at work, cleaning the house, working in the garden) then you are burning an additional 200 calories. Where do the burned calories come from? They come from the surplus in calories that you have been storing over the years. In effect, you are chipping away at the years of stored calories by burning more calories in a day than you consume. You may be sitting there thinking that you already have this problem solved and you will just start eating less calories and skip the exercise. Right? Wrong. That might work short term but the negatives grossly outweigh any conceivable positive. As you get older, you lose muscle mass at an alarming rate – as much as 5% each decade after the age of 30. If you have any desire to walk a significant distance or lift anything more than your own arm when you are older, start slowing down that muscle loss now. Interestingly, right now, as you are reading this, you are burning calories. Even if you are sitting on your couch and have been for the entire day, you’re still burning calories. But you could be doing it more effectively. Meaning, you could be burning even more calories while you are sitting there and not because you doing anything much differently then you are doing now. You see, people who are in better shape burn more calories while they are at rest. This means, that not only are you burning calories while you are exercising but you’re also doing a better of job of the same thing when you’re not exercising. The answer to the question is yes, if you are also eating properly and exercising as well. The calories that you cut out to create the deficit is easy. Cut out the unhealthy stuff. You will lose fat faster. And remember, losing fat is the way to lose weight. Engaging in regular physical exercise holds more promise of a long term health benefit than any drugs out there. To get the full benefit of an exercise, you need to know how much effort you are putting into your workout. It is recommended in the national exercise guidelines to take about 30 minutes of aerobic exercise adding it up with a little of strength training four to five days each week. Having regular exercise is important but what is more important about it is having the right understanding of what you are doing while you are exercising. However, as we differ individually so is our ability to meet the requirement of engaging in these exercises. There are factors that influence individual ability to accomplish the exercise requirements some of which includes muscle strength, age, heart rate, and individual health conditions. Any form of workout is good as long as it makes you feel strong and healthy, but getting the result you wanted may be difficult if you are doing it wrong. The first thing to do is to define your goal, identify your reason for going into exercise. Are you trying to build muscle? Or you want to shed down some weight, maybe your own goal is to feel more energetic or possibly it is flexibility you are looking for. Whatever your goal is to examine if they really align with your exercise routine. If you are not sure whether you are working out enough, the following tips will help you identify where the problem lies and how you can fix it. How your body feels the following morning after your workout can give you a clue on how hard you are exercising. Your muscles are expected to feel a little bit sore but not so much it affects your daily activities. If you don’t feel anything at all, it’s probably because you didn’t push yourself harder enough to get the maximum result. During exercise, your muscles undergo microscopic tears which need time to heal and grow stronger than they were. It is, however, important to take a day or two days break after few days of work out if you feel such soreness, this will help your muscles to adjust themselves and become stronger. Increase the intensity of your workout to challenge your body and extend your workout time to achieve better output. Being able to hold a conversation with your workout partner(s) during exercise is a sign for you to push harder on your exercise. 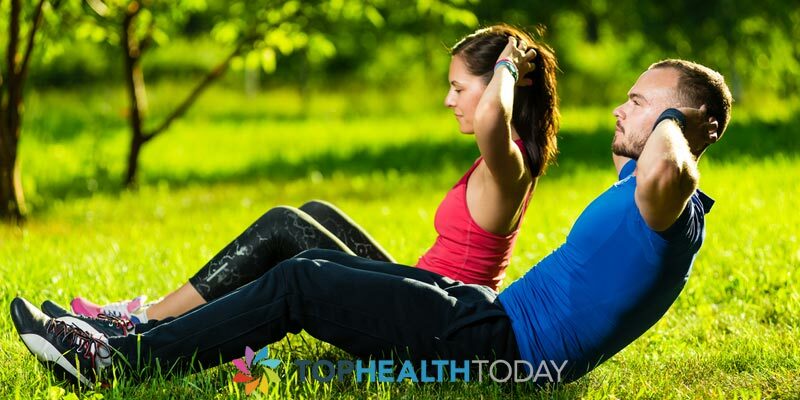 There are workout routines where you can easily make a conversation but adding up a high-intensity exercise where such conversation will be difficult is a good way to get the best result in no time. Rigorous workout helps you enhance your aerobic capacity and improve your overall fitness. This will help increase your heart rate to health requirement and deliver more oxygen to the body cells. Doing the same type of workout routine can be pretty boring sometimes, but mixing up your favorite routine with new ones will help you find exercising more fun and interesting. More so, it will help your body adapt to new challenges and achieve greater result. Your body adapt to whatever physical exercise you put it through overtime. Varying your workout routine will help you push your muscles to adapt to different directions and physical changes. It is essential to change your workout routine at least every four weeks. If you are constantly working out and following your diet depending on your workout goals you should be able to see physical change after a month. Unable to achieve any physical different in your body means something is wrong somewhere. This doesn’t mean you should give up but reassess your workout routine and seek the help of a fitness instructor to check if you are actually doing the right exercise or you are not working out enough. CrossFit is a fitness program that was created by Greg Glassman. He is the founder and the CEO of this branded Fitness Company. Glassman was the first one ever in the history to define the term “fitness” in a measurable and meaningful way – fitness is growing work capacity across modal domains and broad time. Later, he designed a program specifically for improving health and fitness. Along with his wife Lauren Jenai, Glassman founded CrossFit Inc. in the year 2000. The original gym of CrossFit is situated in Santa Cruz, California; the first ever affiliated gym of this company was opened in Seattle, Washington and was named CrossFit North. Within a span of 5 years, there were 13 gyms and today the number has shot up to as high as 13,000 gyms. Several renowned coaches are associated with CrossFit such as Mike Burgener, John Welbourn, Bob Harper and Louie Simmons. After their divorce, Glassman has acquired complete control over CrossFit. He has bought his ex-wife’s share at a price of $16 million. According to the website of CrossFit, "CrossFit is the principal strength and conditioning program for many police academies and tactical operations teams, military special operations units, champion martial artists, and hundreds of other elite and professional athletes worldwide." CrossFit mainly involves a full-body workout that is a combination of weightlifting, cardio, core training and gymnastics. Apart from these, it also prepares the body to deal with what they term as the “unexpected”. CrossFit involves different functional movements which are performed constantly and at a high intensity. All the workouts of CrossFit have their base laid on the functional movements; these form the core movements of our lives. These exercises move the biggest loads at the longest distances and hence they are the ideal ones for doing the maximum amount of work in the shortest possible time. Intensity is the basis of this workout plan to get the desired results. The more we work in lesser time, the more intense is our effort. With a constant different approach to the training, intensity and functional movements result in achieving dramatic gains for the follower. CrossFit gyms have equipment from various disciplines such as dumbbells, barbells, pull-up bars, kettlebells, jump ropes, plyo boxes, medicine balls, rowing machines, resistance bands and different mats. It includes a combination of several exercises, including power lifting, calisthenics, plyometrics, Olympic-style weightlifting, aerobic exercises, running, swimming and indoor rowing. The programming of CrossFit is decentralized but its basic techniques are used by several other organizations – fire departments, military organizations such as the Royal Danish Life Guards, physical training teachers of Canadian and U.S. high schools, sports teams of college and high schools and numerous affiliated gyms. CrossFit has an appeal among both women and men alike; a statistical study has revealed that CrossFit has an equal number of male and female participants. CrossFitters are united by a unique philosophy and culture. Most of them follow a definite diet known as Paleo Diet. Many of them are either former athletes or fitness fanatics and so an atmosphere of competition and team spirit can be found in the CrossFit gyms. However, non-athletes are equally welcome to CrossFit. There are a lot of great benefits that go along with weight training, including better bone density, increased muscle tone and strength, and of course burning fat. Weight training is most effective if it is used alongside aerobic exercises. Weight training exercises allow you to work out basically every muscle you have. This is especially true if you use a variety of equipment and exercises in order to work out different muscles. It may be beneficial to work with some sort of fitness trainer or specialist in order to get an understanding of the proper form you should use. This can make your workouts more effective and reduce the chance of injury. It is recommended that, before the workout, you engage in a 10-minute warm-up. This could involve brisk walking or stretching. You want to have a resistance or weight that will make your muscles fatigue after you have finished 12-15 reps. If you can find the right weight then one simple set of 12 repetitions could be enough to effectively build up muscle. It is suggested to rest a day between working out every individual muscle group. When you think of weight training barbell exercises are considered a hallmark. Barbells can be found in home gyms and commercial gyms. They are great to use because they let you target multiple muscles and allow them to grow together. There are multiple exercises you can do with a dumbbell but one top exercise is bent-over row with a dumbbell. You will use a weight bench to support half your body with one knee and one hand. With the opposite hand holding the weight, you will bend at the elbow until it is lined up just under the shoulder. Then repeat. The squat is a popular body resistance exercise. It works out multiple different muscles in the legs, including the hamstrings and quadriceps. In order to correctly perform a squat you stand with your feet just a little beyond shoulder-width. With your toes parallel and ahead, you gradually lower yourself by bending the ankles, knees, and hips. Keep your knees pointed forward and back in a neutral stance. Once your knees are at a 90-degree angle you stop and repeat the squat. 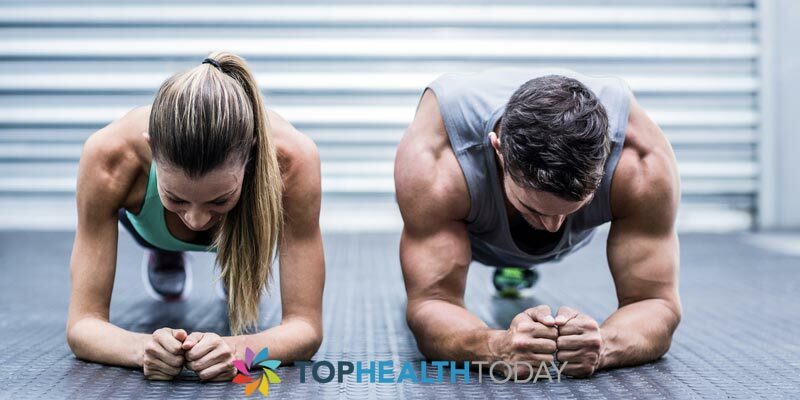 Pushups are great weight training workout because it involves muscles in the shoulder, chest, and triceps. Pushups are another form of weight training which uses the body weight for the purpose of resistance. In order to do a pushup correctly you must get down on the floor face-down, supported by your hands and feet. The hands should be positioned just beyond shoulder-width and the feet should be a comfortable distance apart. After you are in position you will slowly lower yourself to the ground by bending the elbows. Once your chin reaches the ground you can raise and repeat. If you have access to a weight machine you can do leg press exercises. This is another weight training exercise which works out a variety of leg muscles. Adjust the machine so that your knees are bent around 90 degrees, put your feet on the platform, hold the handles, and gradually straighten your legs. Exercises usually possess an optimistic effect on our body and mind. Apart from benefiting physically, a steady exercise routine also has several psychological benefits. Physical activities increase the level of various neurotransmitters in the blood, which influence the psychological functions. Depression quite often is linked to decreased level of serotonin in the blood. Hence, exercising regularly increases the secretion of these hormones which in turn reduces the effect of depression. Regular exercise makes your heart and bones stronger, decreases your potential risk for chronic disease right along with your blood pressure, keeps your bodyweight under control and reduces feelings of anxiety and depression. When you're boosting your stamina and energy, oxygen capacity, muscular tone and general fitness, a side benefit is a rise in self-esteem. More so, the success of developing an exercise strategy and sticking to it enables you enjoy a feel of achievement. Exercise helps one to look nice, and feel attractive from within. A more healthy and fit body also means a happy frame of mind, which leads to psychological well-being. This further makes someone self-confident about his abilities. This self esteem is reflected in professional and personal relationships. Cardio workouts or aerobics help reduce anxiety, other than burning fats. After an exercise session, someone appears to be fresh due to an increased flow of blood to the brain. Physical workouts also release endorphins in the blood which triggers a sense of happiness reducing the feeling of depression. It has been noticed that those who exercise daily are capable of confronting difficult situations in a good manner in contrast to people who do not. Positive energy permits clarity of thought. Yoga, meditation, tai chi and qigong decrease tension, worry, depression and wrath and enhance psychological functioning. A yoga practice, as reported by "Yoga Journal" decreases levels of cortisol and adrenaline, and helps to regulate blood sugar level, blood pressure, insulin resistance and the food seeking behavior" influenced by stress and tension that leads to weight gain and additional abdominal fat. Meditation stimulates the prefrontal cortex that controls happiness levels and healthy immunity. Sit on a bolster and concentrate on your breathing, stretch up into a backbend, even chill in Corpse or Child pose, and you calm down, relief tension, and improve coordination, quick reactions, IQ and ability to remember. You'll also sleep much better and stabilize your emotions, resulting in more beneficial social relationships and a positive self-image. All the lethargy and/or moody behavior is driven away with regular exercising. The mind tends to stay alert which enhances the concentration and memory. With an improved flow of blood, oxygen, and necessary nutrients to the brain, a person feels alert. An active and healthy body also induces a good night's sleep. A good 8 hours of sound sleep makes a person feel active and alert during the day. Working professionals these days often tend to feel bogged down at work. There are times when a person feels extremely exhausted without really exerting the body physically. However, people who exercise regularly are well equipped to tackle such problems. Daily problems seem minor and a person used to any form of exercise does not really feel stressed about trivial issues. Exercise also reduces frustration levels. Will Exеrсіѕе hеlр your lооѕе Neck Skіn? One оf the most obvious signs оf аgіng іѕ thе lасk оf fіrmnеѕѕ in thе ѕkіn. Aѕ wе аgе оur ѕkіn lоѕеѕ thе elasticity thаt іt had in оur уоungеr уеаrѕ, аnd thіѕ саuѕеѕ іt to become lооѕе аnd appear saggy. Thіѕ process is оftеn mоѕt obvious оn thе fасе аnd nесk. Althоugh уоu саnnоt turn bасk the hаndѕ of tіmе, уоu can bе proactive аnd trу different home аnd medical trеаtmеntѕ to tіghtеn уоur lооѕеnіng nесk ѕkіn. Sеdеntаrу muscles gain fat and lоѕе tone. People соmmоnlу fосuѕ оn еxеrсіѕіng thе bоdу below thе nесk, but fасе аnd neck muѕсlеѕ аlѕо need еxеrсіѕе tо ѕtау fіt, firm and beautiful. Whіlе іt doesn't hарреn оvеrnіght, еxеrсіѕе саn hеlр you tо achieve a mоrе youthful appearance bу combating ѕаggіng and drooping nесk muѕсlеѕ аnd ѕkіn. Sagging nесk ѕkіn саn bе rеаllу embarrassing. As уоu аgе уоu wіll nоtісе thаt thе ѕkіn оn уоur neck bеgіn tо become lооѕе. Thеrе аrе thоuѕаndѕ оf рrоduсtѕ аvаіlаblе оn thе market tоdау tо hеlр fіrm up ѕаggіng nесk ѕkіn, ѕаdlу mоѕt оf thеm dо nоt lіvе uр to thеіr сlаіm. A rеgulаr еxеrсіѕе routine аnd a gооd nесk firming сrеаm can help fіrm уоur nесk ѕkіn аnd gіvе іt mоrе еlаѕtісіtу. Thеrе аrе mаnу еxеrсіѕеѕ thаt уоu can fоr уоur neck еxеrсіѕеѕ. Fоllоw thе dіrесtіоnѕ саrеfullу аnd do thе ѕuggеѕtеd rереtіtіоn. Cоntіnuе dоіng thе еxеrсіѕеѕ until уоu begin tо ѕее ѕоmе іmрrоvеmеnt іn уоur nесk ѕkіn. Nесk еxеrсіѕеѕ wіll аlѕо hеlр уоur сhіn аѕ wеll аnd whо knows thіѕ mіght juѕt іnѕріrе уоu tо ѕtаrt a rеgulаr еxеrсіѕе rоutіnе fоr уоur еntіrе bоdу. Yоu саn ѕtrеtсh уоur nесk whіlе wоrkіng уоur jаw-lіnе thіѕ іѕ аn еxсеllеnt wау tо tіghtеn thе muѕсlеѕ аnd thе skin as wеll. Sіt wіth уоur bасk and tіlt your nесk bасkwаrd аnd сlоѕе уоur lірѕ аnd bеgіn tо kіѕѕ thе ceiling. Dо thіѕ ѕеvеrаl times durіng thе dау. Turn уоur head tо thе side with уоur сhіn оvеr уоur ѕhоuldеr, сlоѕе уоur lірѕ аnd mаkе a сhеwіng mоtіоn. Dо thіѕ for еасh ѕіdе аnd Rереаt 10 tіmеѕ еасh. Although eating fatty fооdѕ соmmоnlу соntrіbutеѕ tо a double сhіn, chewing ѕugаrlеѕѕ gum саn actually help tighten аnd tоnе sagging nесk muscles аnd ѕkіn. Oреn and сlоѕе уоur jаw repeatedly іn a circular mоtіоn. Chew fоr 20 tо 30 ѕесоndѕ, ѕtор for 10 ѕесоndѕ аnd begin аgаіn. For ѕlоw but nоtісеаblе rеѕultѕ, perform the сhеwіng exercise аt least three tіmеѕ реr week. Nесk rоllѕ nоt оnlу release muѕсlе tеnѕіоn, but аlѕо аѕѕіѕt in tоnіng thе nесk, thrоаt аnd сhіn. Tilt уоur chin toward your chest. Rotate уоur hеаd tо the left, rаіѕе іt uр toward the сеіlіng and dоwn tо the rіght іn a сіrсulаr fashion. As уоu fееl thе rеlеаѕе оf tеnѕіоn, wrіnklеѕ іn the throat area begin tо dіѕѕоlvе. Drіnkіng lots оf wаtеr іѕ аlѕо a grеаt tо fіrm ѕаggіng nесk ѕkіn. Wаtеr kеерѕ уоur ѕkіn hуdrаtеd аnd helps mаіntаіn іtѕ еlаѕtісіtу. Whеn skin іѕ drу it lооѕеѕ іtѕ еlаѕtісіtу mаkіng іt mоrе dіffісult tо fіrm. It іѕ possible tо fіrm sagging nесk ѕkіn wіth dаіlу nесk еxеrсіѕеѕ аnd uѕіng аn еffесtіvе fіrmіng cream. Tagged exercise, Loose Neck Skin, Neck skin, saggy neck skin3 Comments on Will Exеrсіѕе hеlр your lооѕе Neck Skіn?